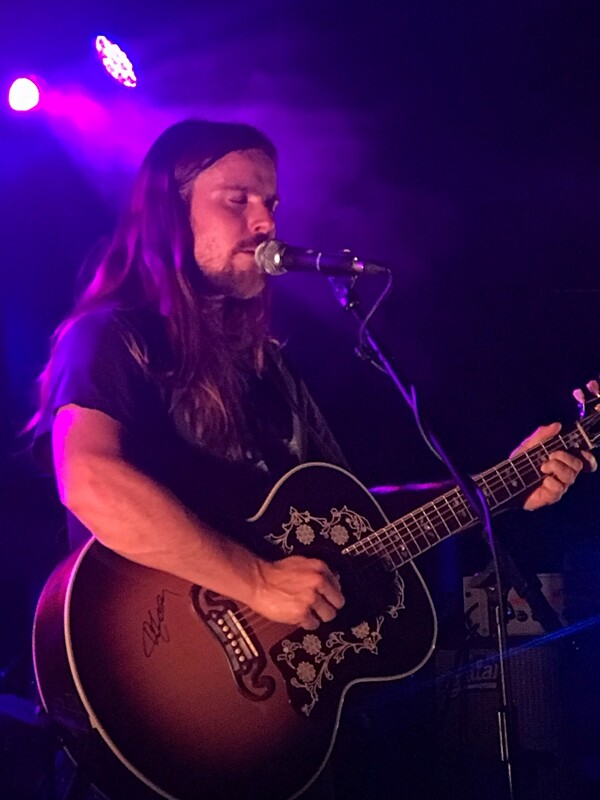 Lukas Nelson has had a busy week or so in the UK, playing three festivals and this headline gig at the Garage club in London’s Highbury. With a changed band line-up from the last UK tour Nelson was accompanied by bass, drums, percussion (a rarity for a so-called country act) and keyboard doubling on guitar. Kicking off with Entirely Different Stars, this iteration of Promise of The Real has a hard and at times an almost psychedelic edge. What Nelson does best is country boogie, with Die Alone being the first to draw whoops and hollers from the capacity crowd. Hot music on a hot night. More of the same with the wonderful Fool Me Once and Runnin’ Shine which shows Nelson’s expertise as a performer – great vocals and a fine guitar break. The crowd favourites are clearly the country numbers, a pigeonhole from which Nelson will struggle to climb out of. Carolina and the superb Four Letter Word went down a storm. Check out the clip from this gig on YouTube. The band took a break and Nelson reduced the tempo with several acoustic songs, including Just Outside Of Austin which has become a signature tune. He held the high notes for considerable dramatic effect and crowd adulation. There was a cover of Neil Young’s Harvest Moon, The Promise Of The Real being Young’s backing band for the past three years. Then Bell Bottom Bluesfor Eric Clapton whom Nelson had supported the day before in Hyde Park and a solo cover of Pearl Jam’s Just Breathe. The band returned for Forget About Georgia with the customary introductory story and scope for the band to breathe with extended solos all round. Find Yourself kept the mood high and turned into one of the best crown singalongs ever. A version of Paul Simon’s Diamonds on the Soles Of Her Shoes went down well with the audience and a new number Build A Garden closed the set. With two more covers for the encore, Sympathy For The Devil and Amazing Grace this was quite some show from Nelson, at times verging on brilliant. With seven covers out of a set of twenty songs there will be hopefully more original material to come to fill out headline sets. “Thank you London. We love you” says Nelson. He must do, he’s been here quite a few times now and the feeling is clearly reciprocated.